The German band Imperceptum (from Bremen), has released two EPs and three albums. I’ve reviewed all of them excerpt the first EP. At the risk of oversimplifying the experience of Imperceptum’s music, it combines elements of atmospheric black metal, funeral doom, ambient music, and post-metal to create long void-faring journeys that are both terrifying and beautiful. The richly textured music moves from immense hurricanes of cataclysmic fury to slower, earth-shattering, and crushingly bleak expositions of doom, to illuminating drifts through astral planes or across the yawning maw of deep space. Sweeping and soaring movements of vast and alien grandeur are juxtaposed against harrowing, blood-freezing storms of shock and awe. All of the releases are immersive; the songs are long, but for this listener the minutes seem to pass without any consciousness that time is passing. I provide that prelude to explain the thrill I felt when I learned that Imperceptum’s sole creator (who goes by the nom de guerre Void) has another project, a death metal operation named Abominations. Abominations released two demos in 2016 — Realms of Horror and Darkness and Insanity — and a debut album, Summoning Death, will be released in March. Today we bring you a stream of its first single, “Invasion of Unearthly Beings“. 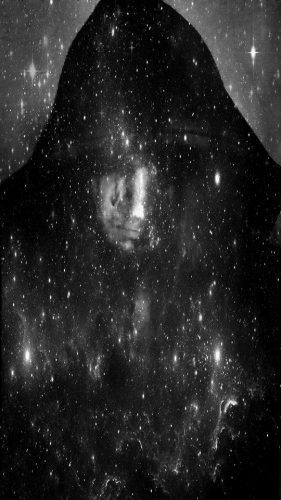 Void’s fascination with… the void… has not left him in this death metal incarnation of his creative impulses. Apart from its title, “Invasion of Unearthly Beings” has an unearthly atmosphere, a kind of vast and frightening power that comes from its deep, low-end surging and from the reverberation of its high, swirling, shimmering, slithering melodies. Void is also still in command of his ability to deliver onslaughts of near-overpowering ferocity. The song erupts from the starting gate in a torrent of blasting drums and grim, ravaging riffs, and the energy stays above the red line throughout, save for one particularly eerie digression. The freakish, fret-burning soloing and jabbing, jackhammering rhythms channel a feeling of remorseless savagery, made all the more chilling (and thrilling) by the wide-ranging but persistently vicious vocals. And I should mention that the song is damned catchy too. As mentioned, Abominations is a solo project at the moment, but we’re told that there are going to be other members and live gigs in the future. For further information about the release (which will include a CD edition), watch the spaces linked below. The killer cover art, by the way, was created by one of my favorites, Nether Temple Design. Imperceptum – now in Technicolor. Sounds like a gnarly ride, and I like it. Well damn. You are of course correct about Hamelin, though who’s to say the piper didn’t make a side trip to Bremen? Were you there? Surely you’re not THAT old?